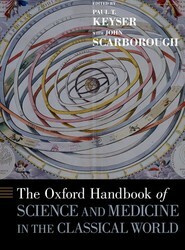 Showing 10 of 32 results for "Series: Oxford Handbooks"
This handbook synthesizes what is known and debated about science in the classical world of ancient Greece and Rome, also touching briefly on Egypt, Mesopotamia, India, and China. Each of its many essays provides a synthesis and synopsis of the concepts and models of one of the ancient natural sciences. 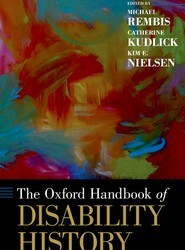 The Oxford Handbook of Disability History features twenty-seven articles that span the diverse, global history of the disabled—from antiquity to today. 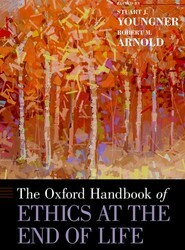 The Oxford Handbook of Advice systematically reviews and synthesizes theory and research on advice from multiple disciplines, including communication, psychology, applied linguistics, business, law, and medicine. 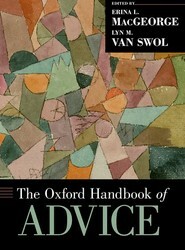 Incorporating both basic and applied scholarship, chapters emphasize theoretical and methodological integration between disciplines and empirical guidance for improving the practice of advising. The Oxford Handbook of Healthcare Management offers a variety of current scholarly perspectives which explore important policy developments in health care management on an international basis. 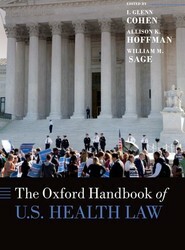 The Oxford Handbook of U.S. Health Law covers the breadth and depth of health law, with contributions from the most eminent scholars in the field. 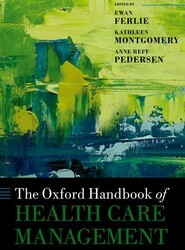 The Handbook paints with broad thematic strokes the major features of American healthcare law and policy, its recent reforms including the Affordable Care Act, its relationship to medical ethics and constitutional principles, how it compares to the experience of other countries, and the legal framework for the patient experience. 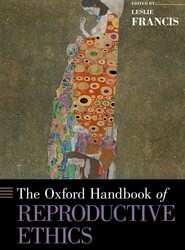 This Handbook provides valuable content, accessible to readers new to the subject, as well as to those who write, teach, practice, or make policy in health law. Psychiatric ethics is an excellent framework in which to examine social changes in the field of psychiatry over the past 25 years, changes which are dramatic in nature and profound in impact. 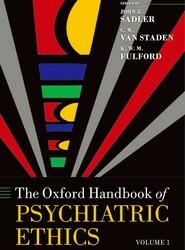 The Oxford Handbook of Psychiatric Ethics is the most comprehensive treatment of the field in history, with global coverage of this important field.